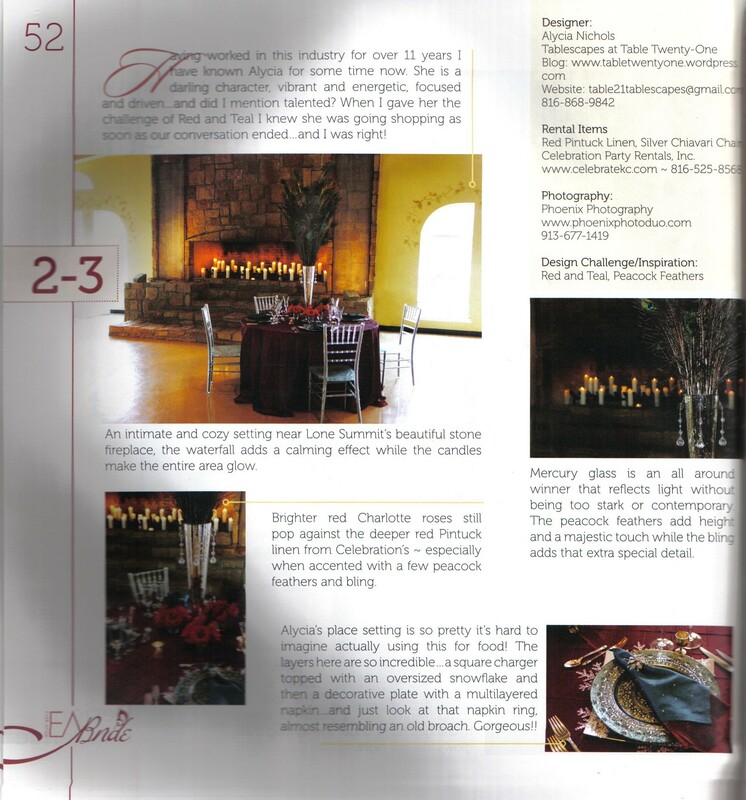 ONE OF MY TABLESCAPES HAS BEEN PUBLISHED!!! A couple of weeks later I found myself in the ballroom of the beautiful, sprawling Lone Summit Ranch setting up a table. Being SO leery of “jinxing” myself, I kind of kept it low-key. 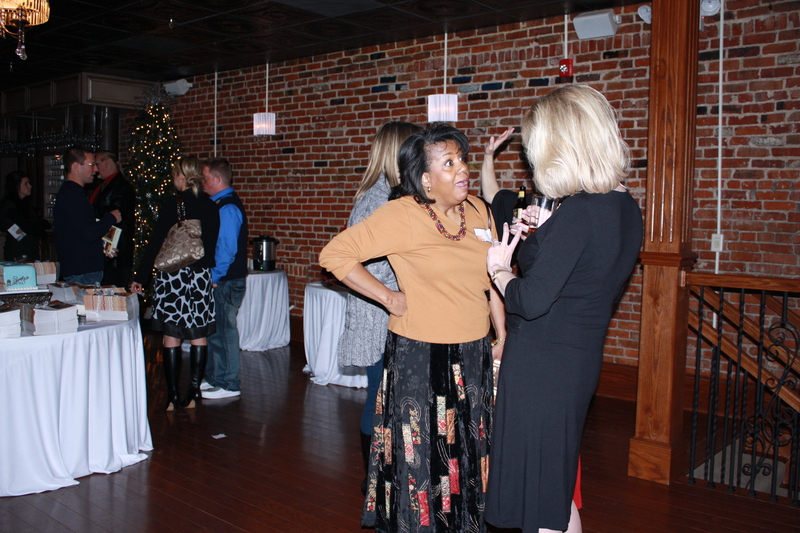 Last night, Sheri and I attended the Preview Party for the magazine’s Winter issue at The Stanley in Lee’s Summit, MO. (For those of you who don’t know, the Winter issue is traditionally the biggest and most widely read issue of quarterly bridal magazines as Christmas, New Year’s and Valentine’s Day engagements prompt happy couples to start the planning process.) 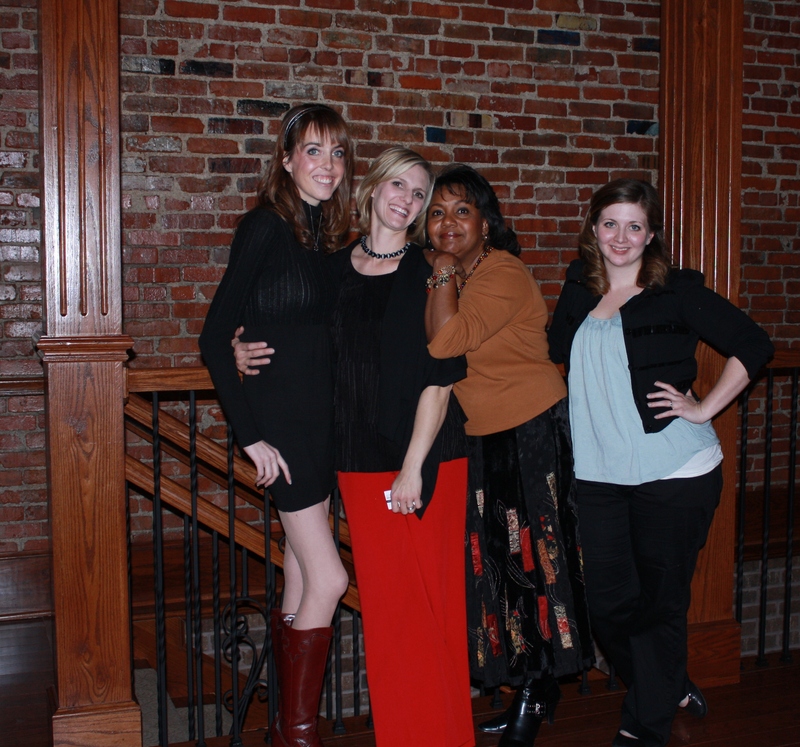 I have to tell you…I felt kind of like being a supporting cast member at a movie premiere! We really got the red carpet treatment, and it was fun to meet many of the other vendors whose work is showcased in the magazine. I hope to get photos from the photographer who shot the table in the next couple of weeks or so, and I’ll post those as soon as I do. You’ll be able to see the detail of the table elements that aren’t visible in this photocopied image. 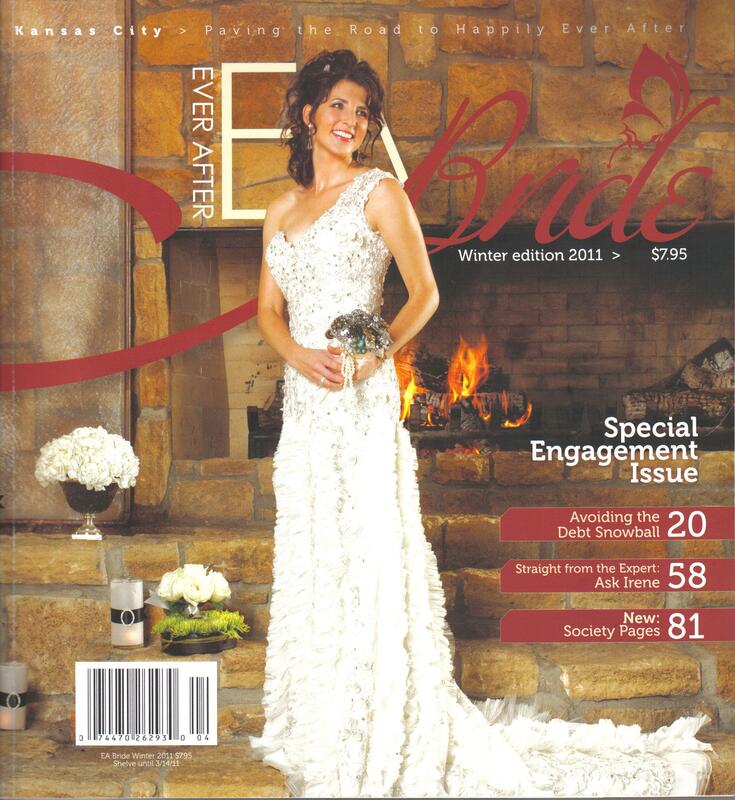 For those of you in the Greater Kansas City area, pick up a copy of EA Bride at Barnes & Noble Booksellers, Price Chopper, Hy-Vee, Hen House Markets, KU Bookstore, K-State Bookstore, and even in some hospital gift shops! I’m on page 52!!! 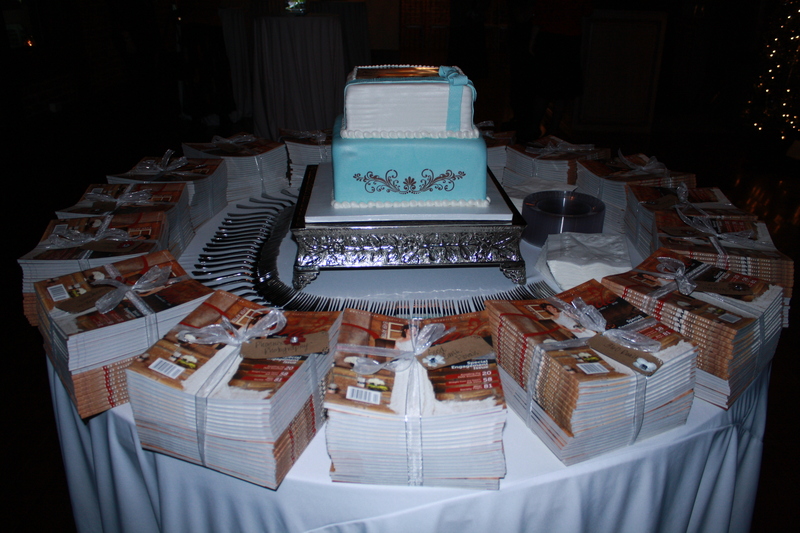 Click here for information on Sherrie’s Cake Magic who created the party cake! Look for photos from the photo shoot (courtesy of Phoenix Photography) in the next few weeks! I’m once again joining Susan and the other tablescapers at Between Naps on the Porch! Alycia!!!! Congratulations, this is the most wonderful news. I am excited for you as well. I remember the thrill of it… What a cool venue too. You will share right? can you? Hi, Marlis! How are you this week? I will share the photos when the photographer sends them to me. We were unable to publish anything until the publication hit the newsstands. It’s pretty much a free for all now. I’ll share photos of the photo shoot when I get them. Congratulations. I have told many of my friends about your wonderful site. Congratulations!!!!!!!!!! You have had a wonderful career in wedding planning and have great creativity and detail in your tablescaping. Someday you will publish you own book. I’m proud of you. Thanks, Mom! Can’t wait for the chance to publish my own book!!! Congratulations!!!!!!!!!!!!!! 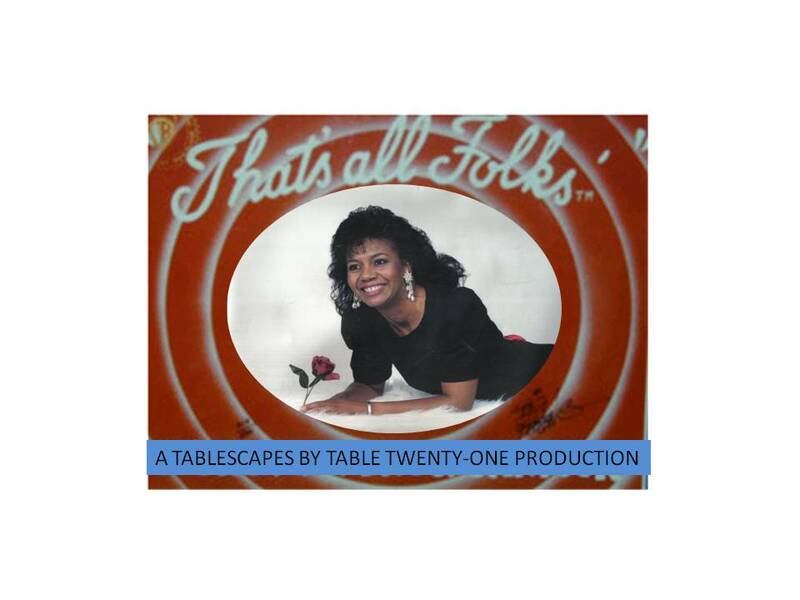 You have had a wonderful career in the field and you’re headed for greatness with your Tablescapes. Keep up the creativity and one day you will publish your own book. Jean! Hi! How are you??? Thanks so much! You’re a sweetie!!! Congratulations Alycia! What great publicity for you. 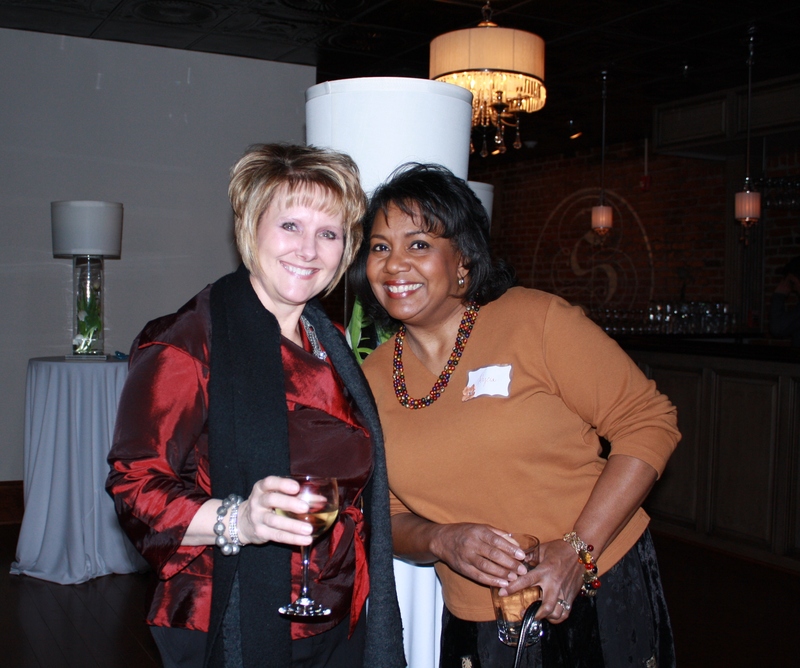 You are so deserving of the recognition – talent at its best! How thrilling! Thanks for sharing the news with us! Not a big deal? Of course it is — thanks for sharing your good news and congratulations! Thank you, Martha! I guess I just look at a some of my friends and former colleagues who have moved on to having books published, etc. and it’s not a big deal by comparison. I have to stop putting myself down like that I guess. Bad habit! Have a great weekend!!! Alycia, I am in awe of all your talents!! You clearly make this world a more beautiful place! And I have you for a neighbor!!!! Thank you, Mary Ellen!!!! You are sweet as ever! Congratulations Alycia!!!!!!!!!!!!!!!!!!!!! I am so excited for you, and I am so glad that so many people will be able to view your fabulous talent!! !